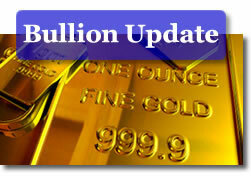 Gold on Tuesday rose for a third straight session and silver for its second as safe-haven demand broadened. "Spain, Italy and Greece are the three reasons why gold should become more attractive because there is a lot of fear out there about what could happen next," Reuters quoted Bill O’Neill, partner of LOGIC Advisors, a commodities-focused wealth manager. Gold prices for August delivery closed to $1,613.80 an ounce on the Comex in New York, gaining $17.00 or 1.1%. Gold traded between an intraday low of $1,586.40 and a high of $1,618.90. Stimulus expectations were also cited as a reason for gains in gold. "The market is expecting more stimulus, and that is supportive of gold," Phil Streible, a senior commodity broker at R.J. O’Brien & Associates in Chicago, said in a telephone interview that was recounted on Bloomberg. Silver prices for July delivery settled up 33.3 cents to $28.949 an ounce, traversing through the day between $28.315 and $29.050. Platinum prices for July delivery closed at $1,454.40 an ounce, up $5.10 or 0.4%. Platinum ranged from $1,423.90 to $1,456.70. Palladium was the lone precious metal to slip on the day, albeit modestly. Palladium prices for September delivery declined 90.0 cents, or 0.1%, to $624.25 an ounce, trading between $615.05 and $626.25. Sales increased Tuesday for the U.S. Mint’s two most popular bullion coins. The American Silver Eagle rose 25,000 and the one-ounce American Gold Eagle added 2,000. The following are the latest daily, June and year-to-date bullion coin sales totals as published by the U.S. Mint. U.S. Mint figures above are in coin totals, not the amount of ounces sold.